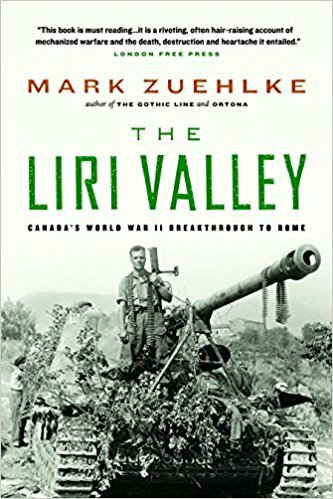 The second instalment in military historian Mark Zuehlke’s compelling World War II tales of Canadians overcoming insurmountable odds in Italy. For the allied armies fighting their way up the Italian boot in early 1944, Rome was the prize that could only be won through one of the greatest offensives of the war. Following upon his book about the battle of Ortona, Mark Zuehlke returns to the Mediterranean theatre of World War II with this gripping tribute to the valiant Canadians who opened the way for the Allies to take Rome. The Liri Valley is testament to the bravery of these Canadians, like the badly wounded Captain Pierre Potvin, who survived more than thirty hours alone in the hell of no man’s land. This book, like the battle it records, will live long in readers’ memories. Lance-Corporal A.W. Hartung with Pipers Flossie Rose (centre) and Mona Michie of the Canadian Women's Army Corps (C.W.A.C.) Pipe Band, Zeist, Netherlands, 25 August 1945.